Three months have passed, and it’s now time to update our mercenaries deployed around the world with the latest news from our Headquarters. Previous months have been tough, but we listen to our mercenaries and plan our next moves accordingly. We believe it will pay off in the future. Take a sit, some MRE rations, and get ready for the read. It will be a pretty long one! Let’s see where we stand today! There is not much to mention here. The game is, and will remain entirely free-to-play. We strongly believe in having an outstanding game, enjoyable by all kinds of players. We listen to your feedback closely and will keep doing so during the whole journey. More than 50% of our current team members are allocated to working with the community, and we plan to grow the team even more. We already hired a new Community Manager for the Portuguese community (and back-up for the Spanish, we will introduce him in a few weeks), we are currently interviewing potential candidates for the Turkish one, and we will open a new position soon. If you want to be part of the Ironsight team, keep an eye on our careers page. That being said, let’s take a deeper look! As you already know, we recently published a survey to collect quantitative feedback about the game and translate that into actions. We also recently answered your questions via a Reddit AMA. Those two projects helped us refine our priorities with the help of our community. Thank you! 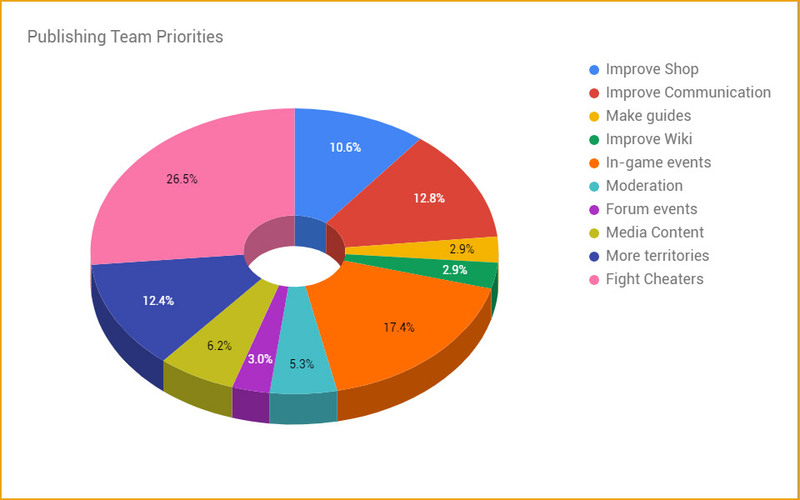 Without further ado, let’s talk about the main topics we discussed during the AMA and confirmed in the survey we ran. On the technical side (servers), we have done big improvements in terms of mitigation, monitoring and reaction time in case of issue. Unfortunately, since our first HQ report, we discovered those issues were bigger than expected. We need to rework the interaction between specific game-related programs running on the hidden side of the game, the servers. Our developers are working seriously hard on this matter and will be ready at some point in August/September. Until then, small server crashes and disconnections might happen, as some of you may have experienced already. On the other hand, for the ‘netcode’, I am bringing good news. We have been working on it for quite some time already, and we are close to delivering it to the live servers. Let’s have a look at the changes we have planned on that side for the next two updates! With our next technical patch, we will change the way the game client receives patches. Until now, users with old clients could experience problems while downloading the latest patches. Since we will change how the system works, that won’t be an issue anymore. We currently have no region restriction on our servers. A user from Asia can play on the EU servers for example, creating some ping issues. We will be adding a new filter within the matchmaking system in order to take into consideration players’ pings. Long story short, users with good connections will match with similar players. The same thing applies to users with a bad connection or far away from the servers, who will be matched together. We are close to be done with the needed changes on the networking side of the game. We will deploy the highy anticipated TCP to UDP change after the above. Have you seen characters flying? I did. That’s due to how the character physics work when your connection drops packets. We will rework character physics from a network point of view in order to prevent that. Finally, we will make sure that users with extremely high pings aren’t matched with others players until their ping decreases back to playable levels, in order to avoid extreme lag scenarios. We will balance and keep balancing weapons in every single content patch we apply. Game balance is a topic we take very seriously. 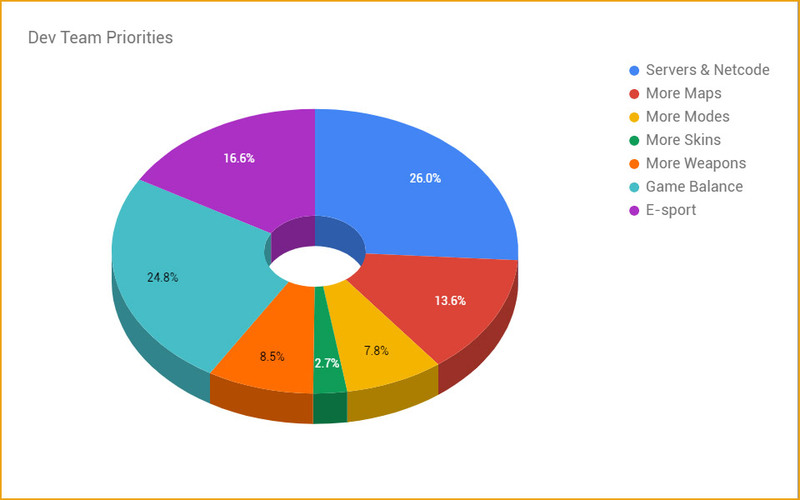 We take into consideration both users’ feedback and usage data to make sure we take the best decisions. In fact, our next balancing step will be to nerf the sniper rifles with the next content patch. Don’t worry though, we do not intend to make them useless. 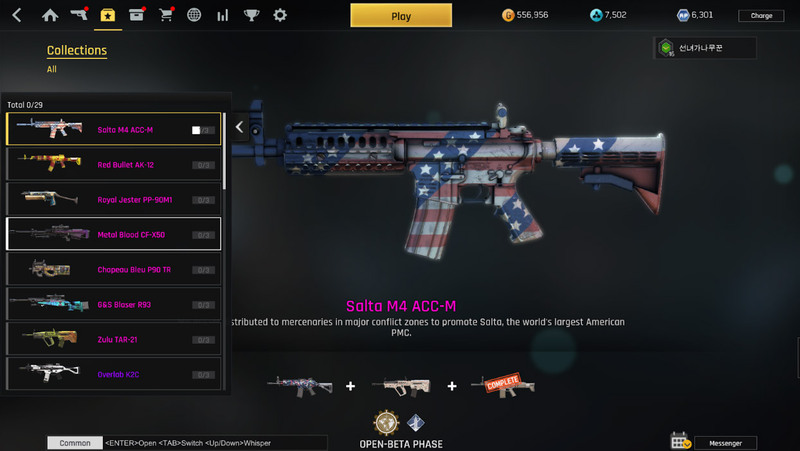 We’re also aware players would like more changes to the AR-57. This is currently being looked at. Unfortunately, we can’t get into esports yet, since we need to achieve many things beforehand. What I can tell you already is that we implemented the spectator mode with our latest patch and we will start supporting some external organizations with their tournaments very soon, with both exposure and rewards. 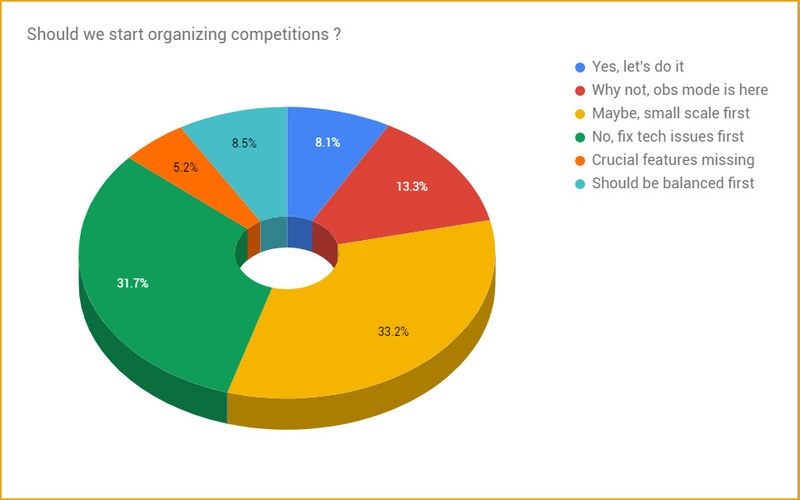 I am glad our plans on this topic are totally aligned with the community’s feedback so far! For the future, and as an example, we are already working on a broadcast system concept. As previously announced, we agreed with our developer on releasing the game in LATAM (Latin America). 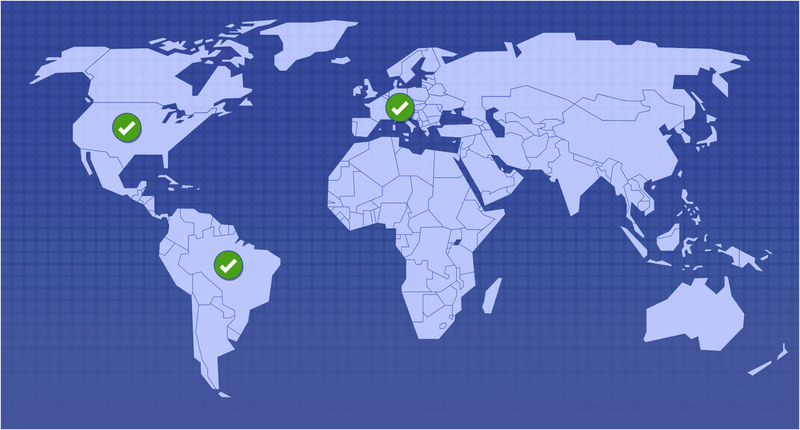 We are currently working on setting up our servers there, precisely in São Paulo. We expect this to happen sometime in August. We have no additional territory planned so far. We are shifting most our focus onto the product itself for the time being. We will come back to the topic by end of the year and try to reach the rest of the world! I would like to start by saying that the cheat situation is largely a matter of perception in the case of Ironsight. A very large part of the reports we receive are “false positives” triggered by the current network situation as well as high ping players. Kamu (previously known as easyanticheat) is our current anti-cheat provider, one of the major partners in terms of game security (used by Fortnite, among others). We are constantly redefining our measures to provide a better experience for players and to detect flaws as early as possible. We have a 0 tolerance policy against hackers, and will keep fighting them to ensure the best gaming experience possible for our community. As mentioned before, we are currently hiring additional Community Managers. This will help our current team save some time, which they will be able to dedicate to the organization of more in-game events. 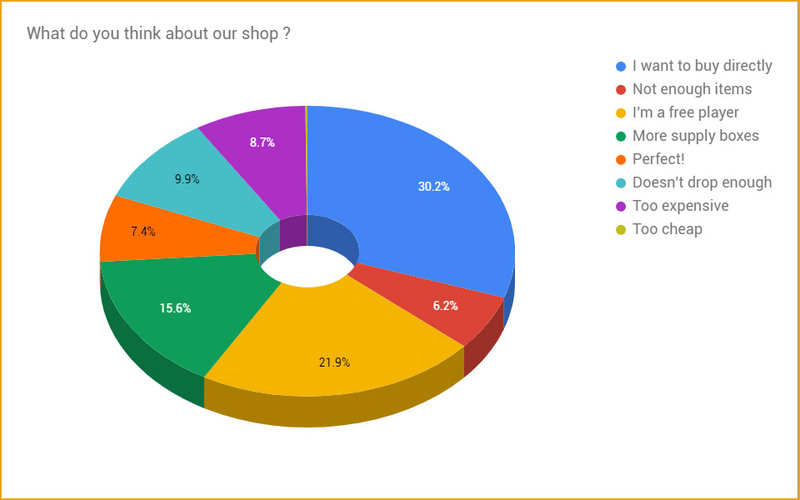 That’s our current goal, and according to the survey, you guys agree! Our communication strategy will change in the following weeks. We will focus more on the game, and less on team updates. Our HQ reports and Weekly CM updates will soon be replaced by a single new format, giving you more interesting and frequent updates. Standalone news about specific topic such as the arrival of a new team member, addressing a recurring piece of feedback, etc. We are currently reworking the UI (user interface) of the game. This will allow us to create new features more easily in the future. With the next update we will get also get a new (and much anticipated) map and mode! You can expect this and much more (like the nerf for the snipers) in that next content update, which we expect to be available between August and September. That’s all folks! The team will be answering as many questions as possible in the following Reddit thread: CLICK HERE. We're looking forward to your feedback! Great news! Although not impressed with the decision to put the LATAM servers in Brazil, there are several games that have SA servers hosted in Brazil, and they give terrible ping for many countries of the zone, sometimes worse compared to what they get playing in NA-East servers. If the matchmaking by ping is implemented, and players need to have their ping reduced to playable levels, what will happen to the Asian and Oceanian players? They can't play anymore? What exactly is the "playable levels"? To Asian and Oceanian players, their playable ping and vary from 250 to 400 ping (Yes kids some of us find 400 ping playable, You get used to it). I would appreciate to apply more servers first, THEN implement the connection rules. Well good report I must say (many AAA publishers should take notes from you guys) but after reading the "Geographical Coverage", I'm heavily disappointed to say the least. I don't know how things works when it comes to setting new servers to a region, it might be hard idk but I still can't forgive this game for leaving Asia in the dark. Like why? Out of every region, Asia is the best place for Free2Play games and there's still no plan for adding server in this region?!? Seems like #southamericanservers campaign aka spamming this comment on every post tactic worked (since you guys added this on the report) and Asian players should've spammed too instead of being nice. GG to the South American playerbase. Oh and another thing, atleast you guys can turn on the Gamigo Servers again that were used in CBT, SST, TBT & in the starting of OBT in EU cause I used to get 150-170 pings on EU where now I get 350+ ping. New servers are added over time. Only because there are no plans at this very moment doesn’t mean that nothing will happen in the future. It goes all step by step and may take sometime, there much legal stuff to go through and many other things which are the reason why it might take a while until a new server rises from ground. LATAM servers were planned long ago, and now they are finally in sight. We’ll see what region is next on the list. But the whole team is working incredibly hard to deliver the best possible experience to all of you! They are always making some changes to improve the performance and overall game experience. This might also be interesting for you! We aren’t just adding servers but we’re trying to still make it more playable for everyone with that! Everyone will take advantages from this change. Very skeptical about how that ping restriction gonna help me, maybe from the sense that me with 250-380 ping play with other 250-380 ping players idk, but I'm still not sure about it. And sir, you didn't answer my last part which is "atleast you guys can turn on the Gamigo Servers again that were used in CBT, SST, TBT & in the starting of OBT in EU cause I used to get 150-170 pings on EU where now I get 350+ ping." You’ll get matched with people from your region, ping itself won’t get reduced but it reduces the ping difference to other players which are causing the lags. It won’t replace a whole new server for that region but it will greatly improve the experience. The servers are still the same. So matching players with same ping is a bit touchy for the asian and oce players have 230-300+ ping , in my experience being a player from asia playing on NA with consistent 230-250+ having a yellow ping bar is a bit playable but once red ping players enters a match it'll lag so much. I hope matching players with 200+ ping will be as smooth as a player with 200+ ping playing with full green bar ping players. I know you mentioned ping limit though i hope the limit will not shot off the guys in asia and oce once it is out and i'll expect the game to have a system that will compensate on the delays when matchmaking by ping is added. The post was edited 1 time, last by Mirage ( Jul 24th 2018 ). None of it is live yet, we’ll have to wait and see how it is working out. In theory it should be much smoother that way. But I’m pretty confident that everything will be great! As I said in before, in CBT, SST, TBT & in the starting part of OBT (before the ddos) it used "Gamigo Servers" but now it uses servers from "Google" or "Amazon" and almost everytime when I choose EU, it still puts me in a server which is from California. They are still the same servers. Restart the client as soon as you changed the region, that might solve your issue. And the NA servers are in North Virginia and not in California. See? both of the ips are showing it's location as California, US. If you want more proof, I can show you. Thats our protection against any server attacks. EU servers are in Berlin and the NA servers are in North Virginia. I think you can trust us on that. I guess that makes sense but why Cali everytime? that definitely got me. But still not understanding why I get less ping in NA compare to EU. Depends on where exactly you live in Asia. It might be possible that the North American servers are closer to you than the European servers. I get Identical ping on both NA and EU servers ever since I started playing the game. Although NA was better because I was getting less lag spikes than EU, but it doesn't feel right to get the same ping on both servers were one is considerably closer to the other. Just tested on Speedtest and on Berlin, I tested on with 5 options and I get 170-180 ping on 4 of them and 360-380 on just one option. And North Virginia one, I get 250-400 pings mostly. I know about that, but his issue is that he has a higher ping to a servers that’s probably closer to him. However, Netcode changes are happening regardless as you might have read in the HQ Report above. I think you didn’t read the report well enough, UDP and TCP have been mentioned there, maybe read again. I was waiting the sniper nerf SO much. Hope it will be impactful and efficient! You will see as soon as the patch is applied patch notes live! Doing speedtests to completely different servers has nothing to do with Ironsight's sever. The routing is different therefore you'll get higher/lower ping in the same city from different sources. Thank you for being so involved with your community. We really appreciate it. Agree but from the speedtest, I might not find the exact value but I atleast can find what can my estimated ping be. In the early betas, I used to get connected to "Gamigo AG" server that was in Germany and I used to get like what I said in that comment, 170-180 ping. So in that sense, speedtest is showing a very similar result for me. The post was edited 1 time, last by GhostProtocolXL ( Jul 25th 2018 ). Exactly! In previous betas, I used to connect to Germany and used to get 170-180 ping where now I get 350+ which is almost the double amount. Also, will netcode fix also eliminate kill-trade? Probably, but in theory yes. We will see as soon as the patch is applied and everything is working! Good to hear that From the beginning, I didn't like the Kill-trade feature. Hated it in BF, still hate it in IronSight. I looked for some information - I had some time - I think this explains the situation: have a look. Great stuff coming for Ironsight! Really looking forward to the netcode changes that (hopefully) will lessen the amount you trade or get shot around corners. I personally like the balance of the guns. Some are too "easy", like the AR-57, but not in any way broken. 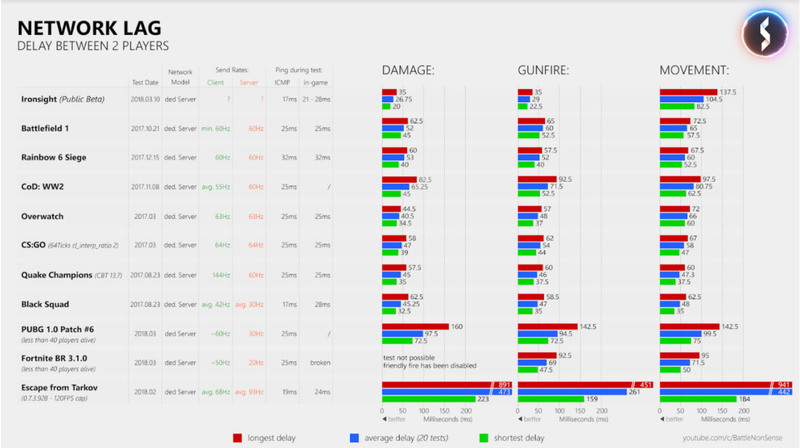 I'd suggest to just make hipfire less viable for most guns. I feel like that in itself would nerf the higher capacity guns. Keep the patches and updates rolling! Still waiting for russian localization and server. BUT, want to warm you DO NOT LET server be on run under Innova (4Game) and\or mail.ru watch. Or things go nuts, told you. Many good projects servers I do remember were ruined by these companies. on other note: good report, glad to know we will have black UI theme. Alexa.. play 'How Soon is Now?' by The Smiths. How i can reporting the cheaters?